In 2006 the United Nations announced that more than half the world’s population was living in urban areas and that by 2030 almost five billion of us would be urbanised. The breakneck speed of development has made riding on Phuket’s roads a neck-breaking proposition. Cycling with a bit of green scenery is always a more pleasant experience. Like most areas of rapid urbanisation, Phuket has been deeply affected by the rush to develop. Firstly, the island has become progressively re-oriented around motorised traffic and secondly many public spaces and resources have been privatised. This reorganisation of our island has had an unfair and cruel impact as the urbanised residents of Phuket are increasingly denied the opportunity of enjoying simple daily pleasures such as walking on convivial streets, sitting around in public areas, or just playing together. Children have largely disappeared from Phuket’s streets which have been rendered dangerous and polluted by heavy traffic. Phuket’s rapid urbanisation is driven by people seeking a better life for themselves through increased prosperity, but the sad fact is that the more people flock to Phuket for the good life – money, opportunity, novelty and entertainment – the more crowded, expensive, polluted and congested the island becomes. The result? Surveys continually show that Phuketians rate themselves as among the least happy people in Thailand despite living in one of the richest regions of the country. Is Phuket’s urban design really powerful enough to make or break our happiness? The question deserves consideration, because the most dynamic economies all over our planet seem to have produced the most miserable cities according to the World Health Organisation. Surely that is not what we are trying to do in Phuket? Sadly, an unintended consequence of Phuket’s urbanisation and traffic density is that our human networks and interactions are becoming degraded. People just don’t want to engage with the traffic to go out and see friends and relatives like they used to. Upon returning from the daily commute to work, many Phuketians collapse in a deranged heap in front of their TVs or iPhones and hibernate. Research shows that the more connected we are to family and community the less likely we are to experience heart attacks, strokes, cancer and depression. Connected people sleep better at night. They live longer. They consistently report being happier. However, within all this gloom, there is hope! Abundant research shows that one group of urbanised commuters report enjoying themselves. These are people who travel to work under their own steam… they walk, run, or ride bicycles. Why would travelling more slowly and using more effort offer more satisfaction than driving? Part of the answer exists in our basic human physiology. We were born to move. Immobility is to the human body what rust is to a car. Stop moving long enough and your muscles will atrophy. Bones will weaken. Blood will clot. You’ll find it harder to concentrate and solve problems. Immobility is not merely a state that is closer to death… it actually hastens it. So if we really care about freedom, we need to plan Phuket’s urbanisation for everyone, not just the brave or foolhardy who are currently willing to risk their lives in order to cycle. 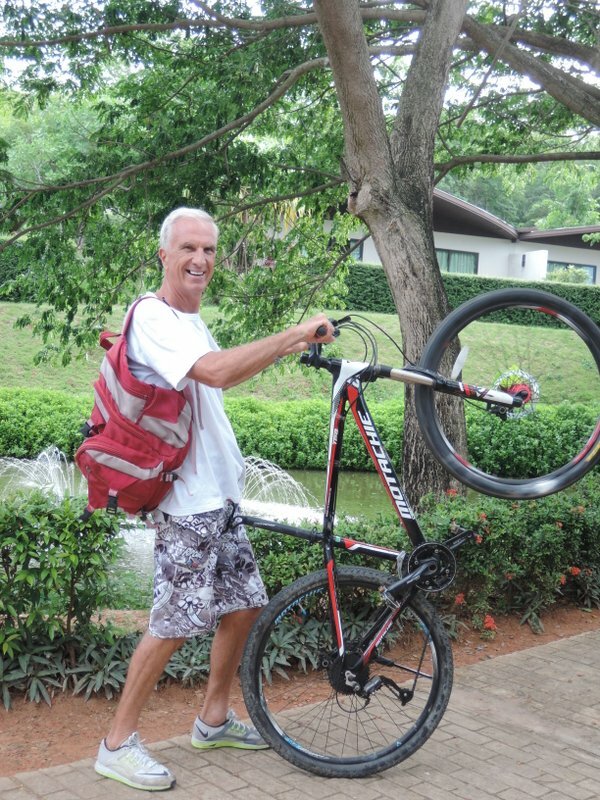 Phuket could quite easily be made more cyclist-friendly by constructing cycling and walking pathways around perimeter areas such as Cape Panwa, the Nai Harn headland, Chalong Bay or through the central mountain peaks. 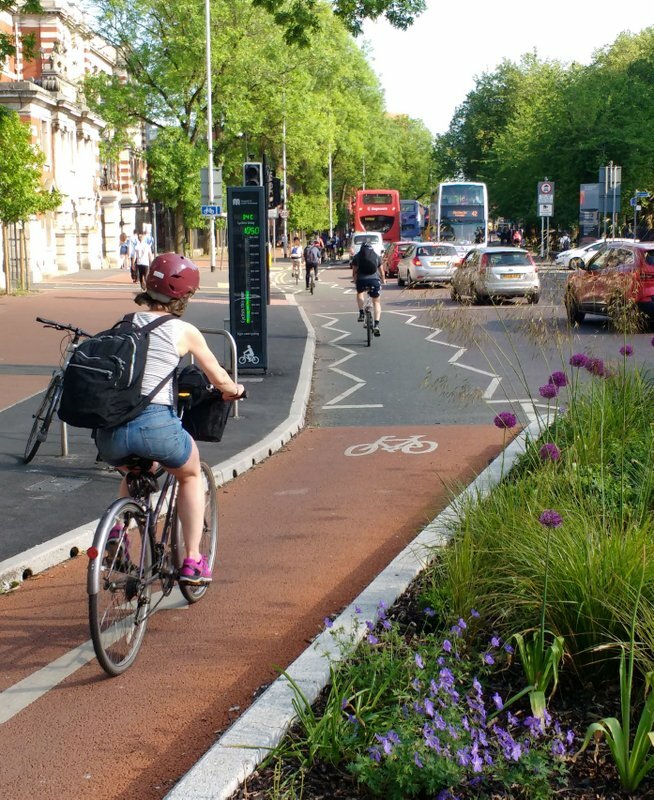 The investment costs would be minimal and could be readily amortised by charging a small fee to cycle or walk the pathways. 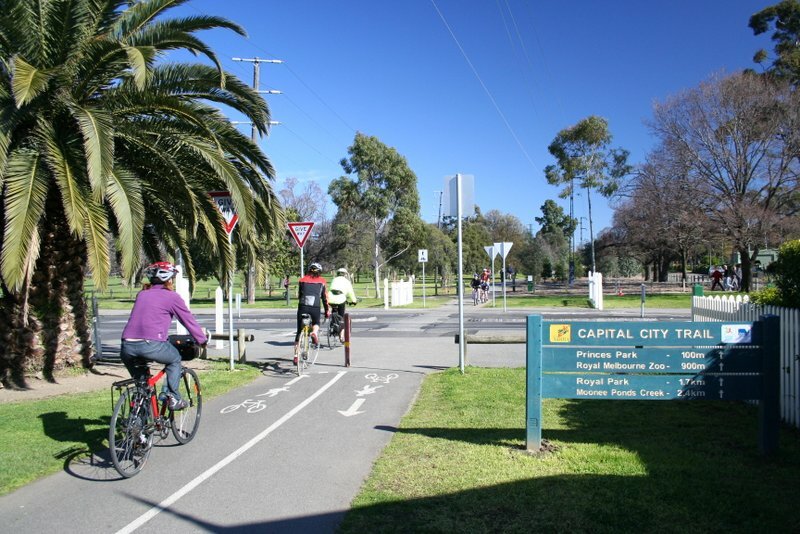 Bike hire and cycle-friendly cafes along the way would offer locals employment and business opportunities. 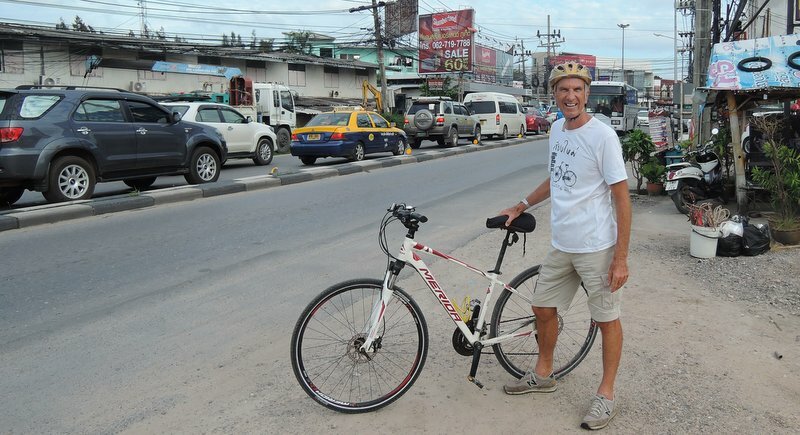 While holding your breath is probably wise while cycling along Phuket’s polluted main arteries, doing so in anticipation of such positive cycling initiatives appearing any time soon is probably a fast track to asphyxiation! That being said, the new bike-share companies entering the market here are a glimmer of hope for a more bike-friendly future for our island. A fine article about Phuket's disastrous urbanization. Due to greed and non infrastructural planning. Therefor biking should be promoted and not 'punished' by charging a 'small' fee for biking or walking.